The Swiss Football League’s disciplinary body on Thursday hit President of Sion Football Club, Christian Constantin with a 14-month football ban and a hefty fine for assaulting a critical television commentator in September. 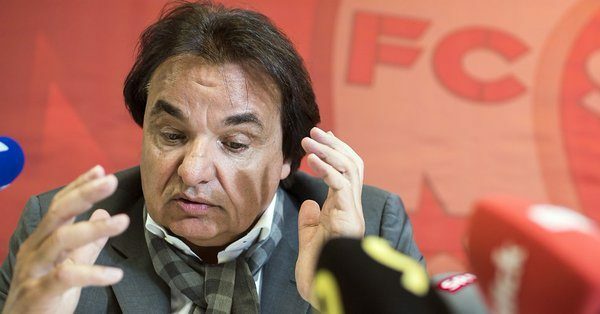 The Swiss Football League’s disciplinary body decided that the Super League club owner would have to pay 100,000 Swiss francs. The disciplinary body also added that he has to stay away from stadiums for the punitive period, with immediate effect. Constantin had slapped Rolf Fringer, a commentator and former Swiss national team coach, after Sion had played Lugano on September 21. Report said when Fringer fell to the ground, Constantin kicked him.